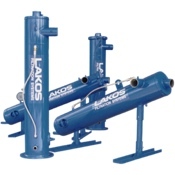 Lakos Filtration – Featuring innovative and adaptable solutions for specific filtration problems for over 40 years, LAKOS Separators and Filtration Solutions has become a world leader. The company operates from a 100,000+ square foot manufacturing, sales, marketing and engineering headquarters in Fresno, California. A worldwide network of technically trained distributors extends the company's reach, with applications around the globe. Liquid Solid Separation Through Centrifugal Separation for Food, Oil, Gas, Chemical & Automotive Industries.